Just a day or two after Toei's announcement that Shippaiman was already on the works, senior actor Osamu Sakuta decides to star as the main character Manabu Rokuda. Producer Naomi Takebe who's put in charge of Shippaiman's production stated, "Perfect! Osamu Sakuta is the guy we need to play as the false hero Manabu Rokuda." 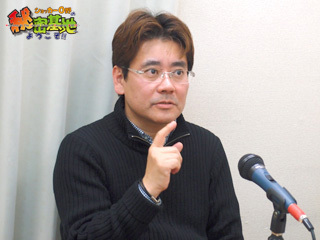 Osamu Sakuta was last seen reading "Sa Gitna Ng Unos" translated into Japanese. He replied, "I knew Machine Man didn't have so much good ratings. I wouldn't mind playing Shippaiman for comedy reasons. I've always wanted to act as that idiot Mar Roxas to at least teach his wife a lesson for wishing the tsunami will hit Japan." The writing cast of Shippaiman now involve Yoshio Urasawa and Naruhisa Arakawa. The series is scheduled to run for at least 26 episodes of pure nonsense. Urasawa mentions, "Carranger wasn't pure nonsense but Shippaiman is. Shippaiman is as superhero wannabe like Hercule in Dragon Ball Z but he always fails at it." The rest of the cast of Shippaiman is still waiting.